All the practical information you need to know about Morton National Park. It's half an hour drive from Moss Vale to Fitzroy Falls and Belmore Falls along Nowra Road. Turn north onto Myra Vale Road just east of Fitzroy Falls. From Nowra, take the Princes Highway to the Southern Highlands via Kangaroo Valley. From Wollongong it’s about an hour to Fitzroy Falls and Belmore Falls along the Illawarra Highway. Turn south at Robertson onto Belmore Falls Road. Sites in the eastern and southern part of the park are accessible via the Princes Highway. There are lots of great things waiting for you in Morton National Park. Here are some of the highlights. Grab an oar and canoe down the Shoalhaven River or the Kangaroo River. Autumn rains create ideal conditions for river paddling, and you'll find good spots for beginners as well as for more experienced paddlers. Take the Three Views or Granite Falls walking tracks to see wildflowers in colourful bloom. The rainforests of Morton National Park are a great place to escape the summer heat – try the Erith Coal Mine track at Bundanoon or the nearby Fairy Bower Falls walk. There are extensive areas of wilderness in the park, including the Budawangs. Please be aware you may find a range of conditions, including thick vegetation, cliffs and river crossings. Wilderness walking requires a high degree of fitness, preparation and navigational skills. If you're planning a long walk in Morton National Park, you can use the bushwalker journey intention form to let park staff know your trip intentions. This may help rescue authorities in their search if an incident occurs during your walk. Large parts of the Budawang Wilderness, Tianjara and Little Forest Plateaus were once used for military training activities and contain unexploded artillery shells, mortar rounds and grenades, also known as unexploded ordnances (UXO). These areas are in the south-eastern section of Morton National Park. Activities like walking and driving off-track, setting up tents and campfires, and digging may cause a UXO to explode, resulting in death or serious injury. If you see an object that might be a UXO, do not touch, disturb or try to move it. Take note of its location and report it immediately to NSW Police by calling Triple Zero (000). Before you visit this area of the park, check this Morton National Park unexploded ordnances map (pdf, 467.4KB) to see if you’ll be in one of the contaminated area boundaries. Look for signposts at entrances to the affected areas and follow all safety instructions. Bundanoon is the northern gateway to Morton National Park. 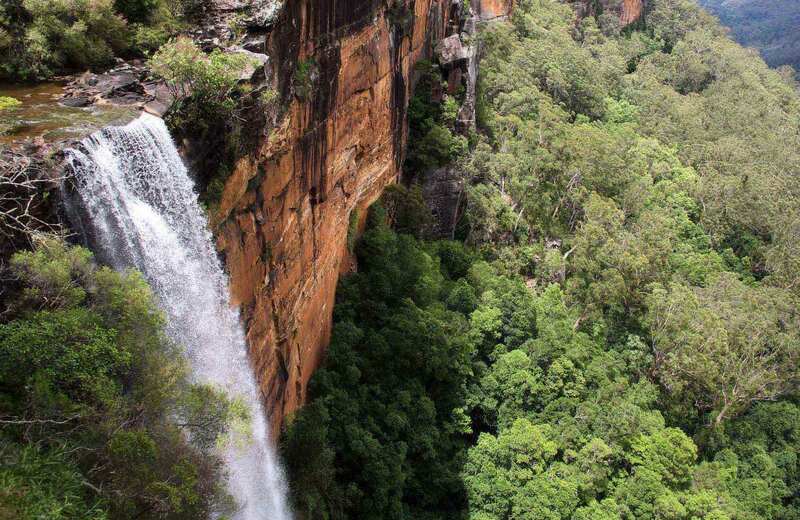 Follow the well-marked bushwalking trails in one of NSW's largest national parks, admiring waterfalls that plunge into valleys below. Moss Vale is the rural centre of the Southern Highlands, with its regional livestock saleyards, farmers market and agricultural show. The meandering tree-lined main street and lush gardens make it one of the most picturesque towns in the region. Kangaroo Valley is a National Trust-listed village nestled between the Cambewarra and Barrengarry mountains. Less than two hours from Canberra and Sydney, Kangaroo Valley is one of the state's hidden gems. With a backdrop of rainforest greens, picturesque mountains, rolling pastures, lush valleys, and the Kangaroo River, Kangaroo Valley offers the perfect escape from the bustle of city life.